Extra tough solvent based construction adhesive with very high grab. Easy flow gunning, together with excellent gap filling properties. Adheres to most common surfaces, including wood, plasterboard, metal, glass, ceramics, brick and concrete. Interior and exterior use. 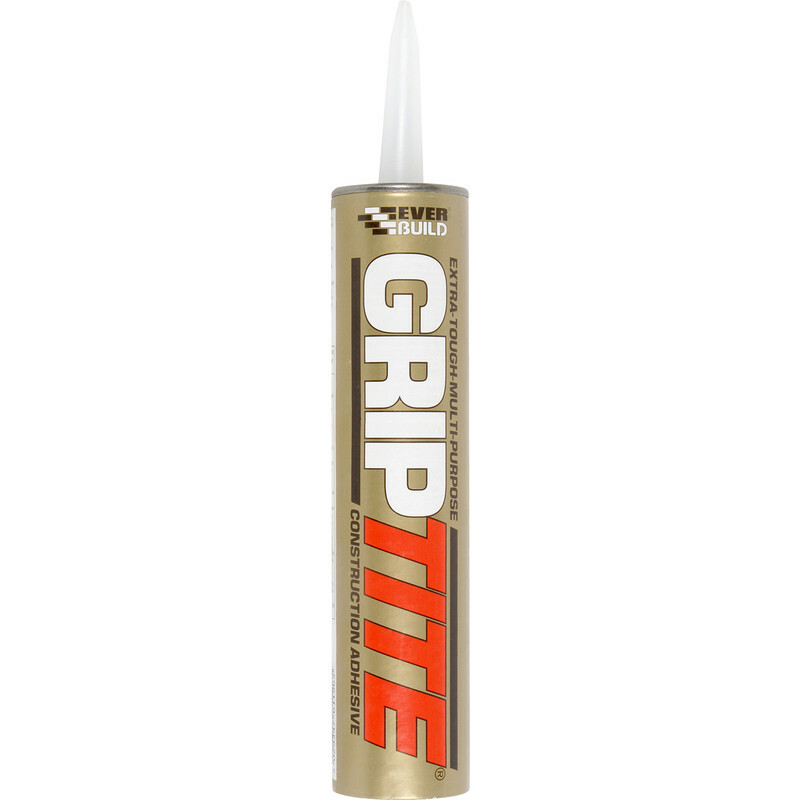 Griptite 310ml Solvent Based is rated 4.4 out of 5 by 13. Rated 2 out of 5 by STEVE0855 from Disappointing The product seemed to prefer to stick to itself rather than to the surfaces which were being stuck together. I found it quite difficult to use, however when it was in finally in place it did seem to form a strong bond. Rated 5 out of 5 by Artie from Solvent based adhesive,like original Gripfill This adhesive worked well enough. Don't believe the adverts that tell you 'no more nails' - whatever instant-grab adhesive you choose, you'll need nails unless the surface (i.e. the wall, when attaching skirting) is dead true. This adhesive is as good as the best I've used and is low cost, too. None water-based is another virtue! Rated 4 out of 5 by JOHN12 from Griptite It's Everbuild's equivalent to Gripfil, does the job & cheaper.